"Whatever is felt upon the page without being specifically named there-that, one might say, is created." This famous observation appears in Willa Cather on Writing, a collection of essays and letters first published in 1949. 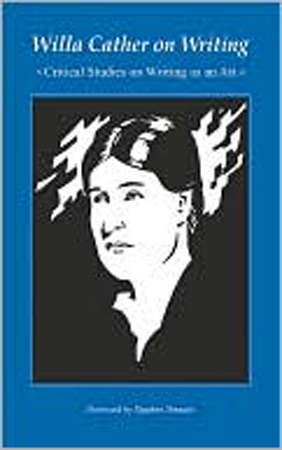 Cather writes, with grace and piercing clarity, about her own fiction and that of Sarah Orne Jewett, Stephen Crane, and Katherine Mansfield, among others. She concludes, "Art is a concrete and personal and rather childish thing after all-no matter what people do to graft it into science and make it sociological and psychological; it is no good at all unless it is let alone to be itself-a game of make-believe, of reproduction, very exciting and delightful to people who have an ear for it or an eye for it."